Peyton and I really have a sweet tooth. 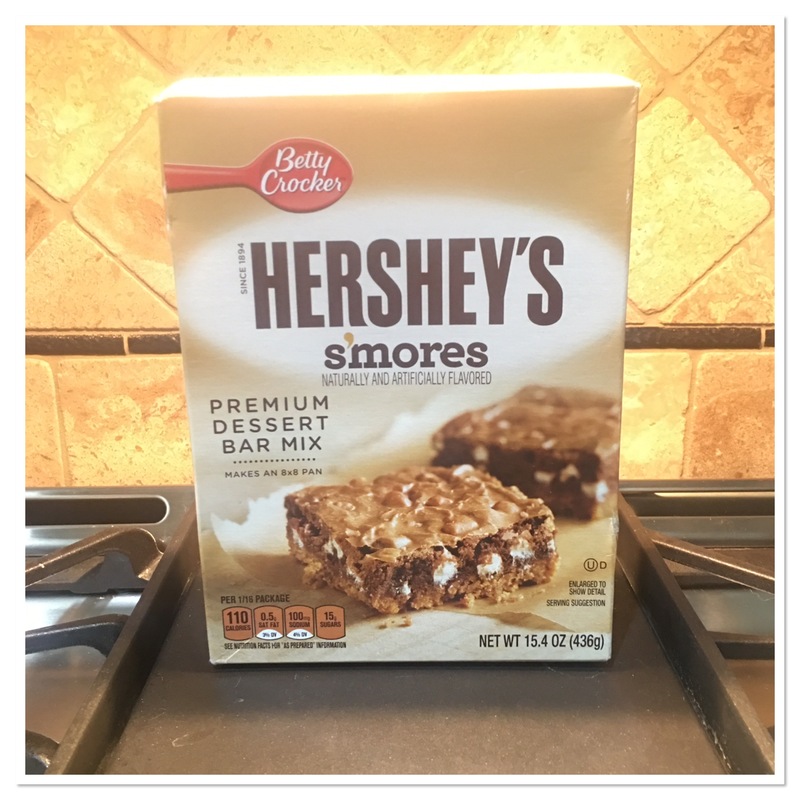 And while I was out shopping the other day I came across this baking mix from Betty Crocker – Hershey’s s’mores premium dessert bar mix. Of course, I just had to pick up a box and try it out. I was curious if this was really going to taste like a s’mores and how hard was it going to be to make. Turns out, it’s fairly simple to make! There is a graham cracker crust. You do have to make that, but it’s really simple. Just melted butter and the graham cracker crumbs (provided in kit) mixed together and pressed into the bottom of the pan. 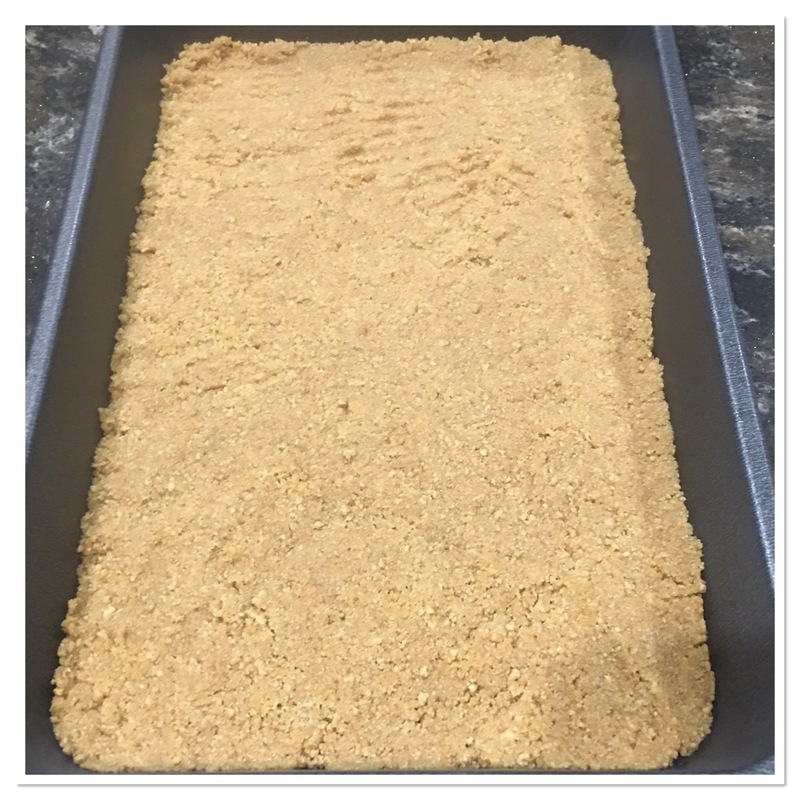 I used a smaller pan so we had a fairly thick graham cracker crust. Then it was pretty much like any other brownie mix. I added the vegetable oil, water and egg to the mix and stirred until it was blended. Next, pour the mixture over the graham cracker crust and bake. About 20 minutes later we had a s’more brownie! The box does say to let it cool before you eat it. So we did let it cool, for about 10 minutes. Then I sliced in and gave Peyton a big brownie! She was all over it. The crust had a strong butter flavor. I used real butter so that may have been why. But it still tasted really good. 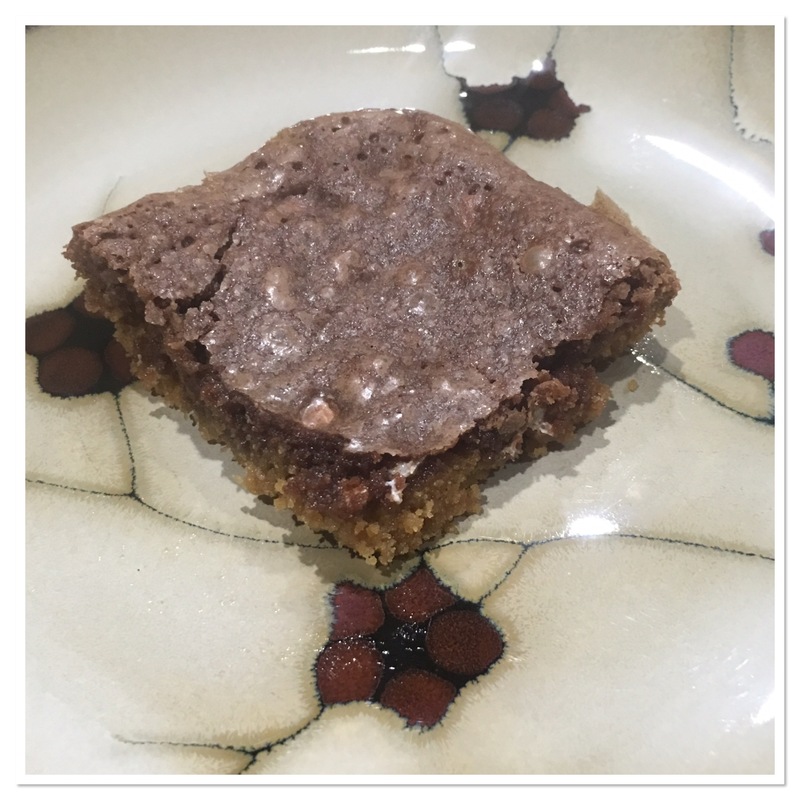 The brownie itself tasted like a brownie with marshmallow chunks. I thought the mix was ok. But I think it would taste even better with a little vanilla ice cream and caramel drizzle. Peyton loved it. She even stole the pan and ran off with it. 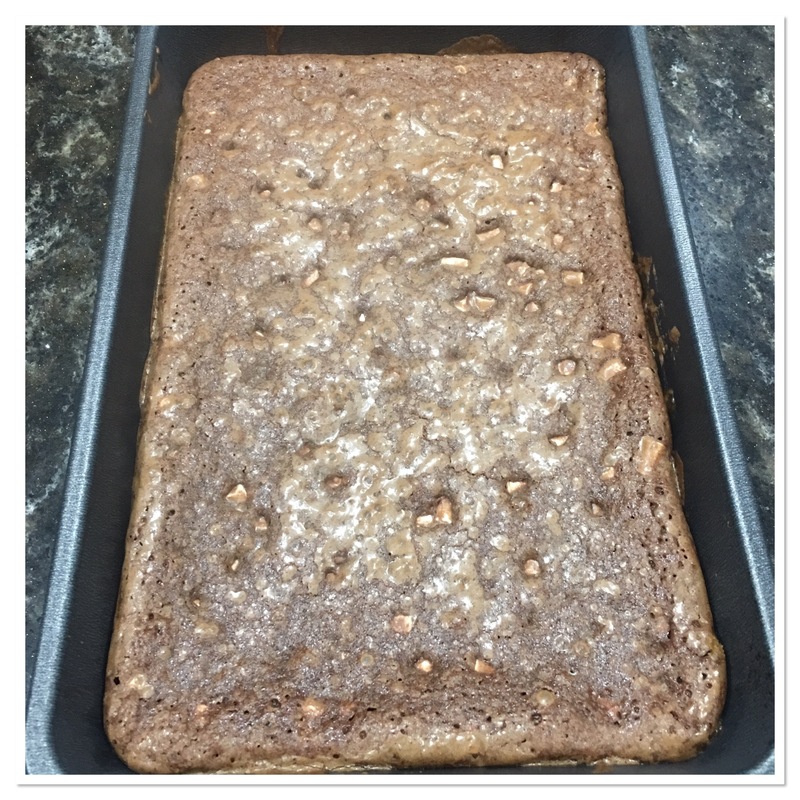 I will say, this brownie does taste better warm and needs to be kept in an airtight container. Otherwise, it dries out fast and the crust crumbles. The pan of brownies didn’t last more than a few days because Peyton devoured them. But I wouldn’t imagine these would stay fresh beyond 3 or 4 days. 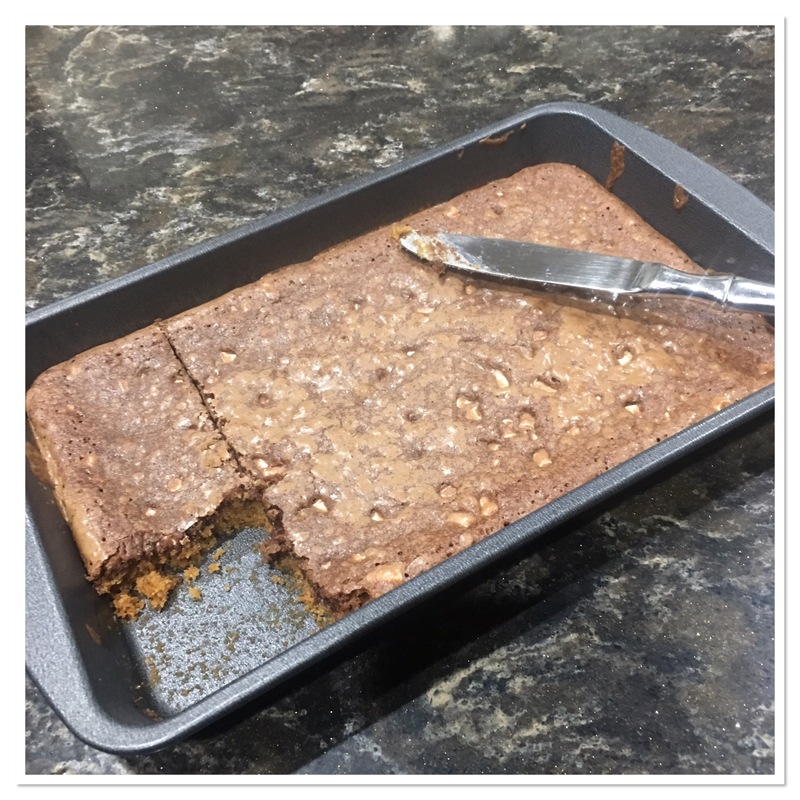 Bottom line – These were ok brownies. I would get them again but next time I would pick up some ice cream and caramel sauce to go with it. Thank you for sharing. I would love making and eating this. Thank you for the recipe. This looks good. We like S’Mores. This would be great with caramel.